There are quite a few Diablo-styled action roguelikes on the PC, but the one that takes the genre to perfection in my book is Torchlight II. 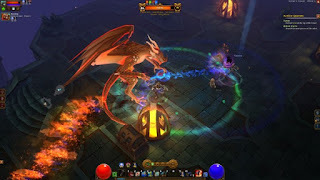 Created by a team partly made up of former Blizzard North (Diablo I) staff, Torchlight 2 takes everything that made Diablo a hit and cranks it up to eleven. Combat is fast and frantic, the four playable classes in the game can be customized in any way the player wishes, and online multiplayer (sorely missing from the first game) is now back in full force. The game even has full support for player mods which can even be used in online games, though all players must have the same set of mods installed in order to play together. Some other clever tweaks, like each player finding separate loot drops and being able to send your pet back to town with a haul of items to trade in for cash or potions, also make sure that the action remains constant throughout. Torchlight II is pure fun. 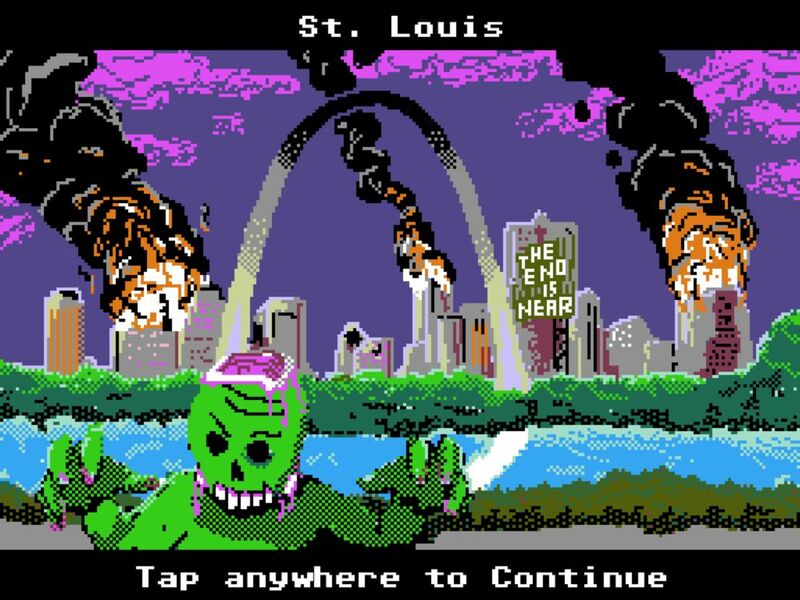 The title and overall format of Organ Trail are undoubtedly an homage to Oregon Trail, but it also does quite a lot to stand on its own. A plethora of randomized missions and several minigames to play throughout make it a more varied experience for sure, but the consistently grim atmosphere (despite its jokey elements) and moody soundtrack perfectly highlight the carnage as well. 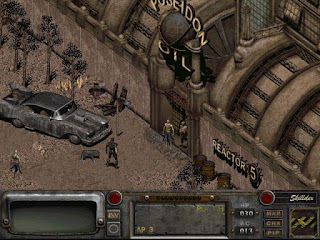 There is even an expansion that adds in features like new cars, branching paths, new boss fights and dangers like radiation and more frequent bandit attacks. A roguelike I can replay endlessly and never get tired of. Quake is a game with a complex history, beginning its life as an action-RPG titled "the Fight for Justice", slowly changing over the years to incorporate a 3D engine and ultimately turning into a shooter with some fantasy and Lovecraftian elements. That ended up being no bad thing, though, as Quake was a great, fast-paced experience with a creepy atmosphere (in no small part due to featuring audio design by Trent Reznor) and some creative level design. It even brought us elements like "Rocket Jumping" which lent themselves to all sorts of crazy (and impressive) speedrunning stunts, as well as some killer mods that would become successful franchises in their own right like Team Fortress. Even with its chunky, blocky 3D models, grainy textures and choppy animation overall, Quake is another classic title from Id. Roguelikes have always been a pretty PC-centric genre; various attempts at creating them on consoles have always been met with relatively lukewarm reception (Fatal Labyrinth, Nightmare of Druaga) or relegation to cult classic status at best (Toejam and Earl). Out of all of the games in this vast genre, though, Castle of the Winds has to be my favorite, in no small part because it manages to be relatively easy to pick up and play while retaining the challenge the genre is known for. Simplistic yet charming visuals and a relatively bare-bones yet still captivating story also make it an enjoyable experience, and let's be honest, it's always fun carving your way through an entire swath of ogres or giants and emerging victorious with enough loot to buy a luxurious mansion, only to spend it on some better equipment instead. Max Payne was the game that put Finnish developers Remedy Entertainment on the map. The game at its core is a tale of revenge as a New York cop goes on a killing spree, gunning down the mobsters who killed his family and partner. What made it into something really special, though, was the strong writing in the game thanks to Sam Lake; equal parts disturbing, visceral and funny, Max Payne was an experience unlike any other to that date. Of course, the gameplay also had an innovative element of its own thanks to incorporating "Bullet Time", allowing the player to take on large enemy forces with relative ease by slowing down time in order to effectively dodge enemy fire and draw a bead on them before they could even react. Is it fair to put a game that hasn't even been out a month yet on the list? Well, I'm doing it anyway, because Undertale is totally worthy of the honor. Taking inspiration from the SNES classic Earthbound for its simple yet charming visual style, quirky sense of humor and sincere charm, Undertale also adds an element of player choice to the proceedings. The player is given full reign over their actions in this world - they can fight their way through everything, or resolve battles more diplomatically (which entails all sorts of silly dialog options), and each choice is perfectly valid and can lead to one of several endings. The game's combat system is also innovative in itself, being based on timed button presses to land attacks and a shoot-em-up styled bullet dodging experience to avoid enemy attacks (which you will have to get very good at in order to reach the Pacifist ending). The game is also overly short, but in an era of 50+ hour games that are that long just for the sake of being that long, I don't mind this fact one bit. 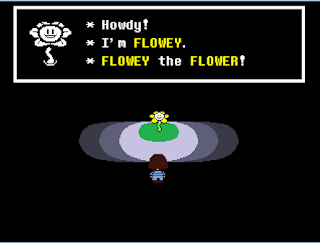 Undertale is a stroke of genius and deserves all the acclaim it's gotten in the short time since its release. The Ultima series once again surfaces on this list, but that shouldn't surprise anybody by now as I absolutely love the franchise; it was an incredible innovator for its era and continues to be a major influence on every game that followed it thanks to the merits of its innovative concepts and strong writing. 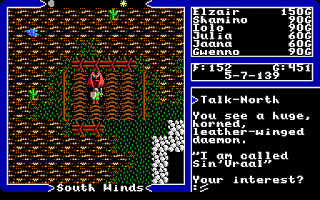 Ultima V is no different; taking place in Britannia after it has slowly been turned into a dictatorship under the corrupted ruler Lord Blackthorn, the player must follow a trail of clues to reunite with their former allies, recover the crown jewels of Lord British, free him from his prison and restore him to power. Of course, with a very ambitious development team also comes a very high demand on the player, and Ultima V doesn't pull any punches in terms of difficulty - getting started in the game is a very difficult task since you're frequently outnumbered and have little int he way of decent equipment, and it only gets tougher once you venture into the dungeons and start meeting reapers, demons and dragons who can lay waste to your entire party in no time flat. 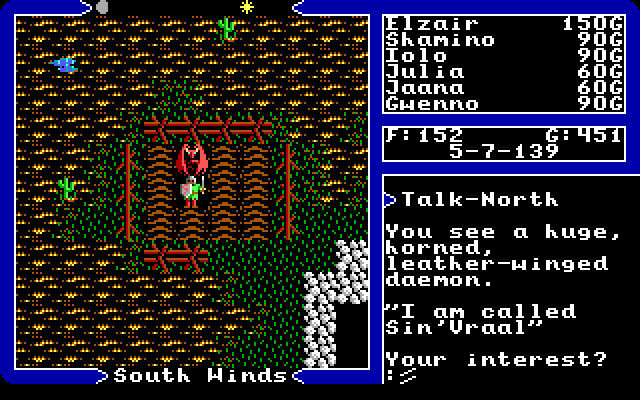 Ultima V is a very difficult experience, but ultimately an extremely compelling and rewarding one once you're used to it. Ys was a relatively unknown franchise in the west for many years, only finally getting some recongition around 2010 or so as the series saw a wave of releases on the platform. However, it's remained a mainstay of the JRPG genre in Japan since its earliest days, seeing countless ports, remakes and sequels and continuing to get more today. Easily my favorite of the bunch, though, has to be Oath in Felghana, a remake of the much-maligned third game in the series. Trading in the sidescrolling gameplay of the original for some extremely fast-paced, intense action and upping the series' ever-impressive standards for writing and music to new heights, Oath in Felghana is a standout action-RPG. Looking Glass returns to the list with the first entry in what is probably my favorite stealth franchise of all time: Thief. Thief Gold is an update of Thief: The Dark Project, adding in three new levels as well as some minor tweaks to existing ones to make things more in line with the revised storyline. But what makes Thief so great? 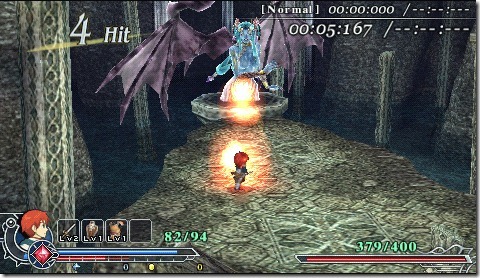 Well, the gameplay, for one, which requires the player to use shadows and diversions in order to draw enemies away so they can slip past unharmed. To that end, the player also has a wide variety of tools to utilize - flash bombs, gas arrows, mines, rope arrows and noisemakers to name a few. 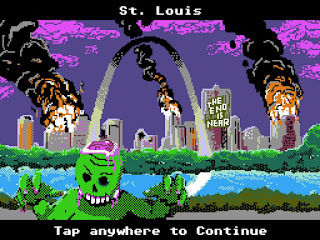 Also adding a nice twist to things was the fact that it was one of the first objective-based games out there - instead of just killing everything in your path, you now had specific goals to carry out in each stage, and the less attention you attracted along the way, the better off you were (not to mention that the higher difficulty levels forbid you from killing people anyway). Of course, beneath it all was also a menacing atmosphere and pretty solid storyline involving the resurrection of a dark god whose existence is a threat to the world itself, but that tends to take a backseat to the thrill of the heist the game so effectively pulls off. An excellent title from Black Isle, and one of my favorite games of all time to boot. The original Fallout definitely had charm to spare with its open-ended character development, multiple ways to complete objectives, heavy world lore and a wry sense of humor despite itself, but Fallout 2 took all of that and expanded upon it tenfold. Bigger guns, new monsters, a wide variety of recruitable characters, and tons of new locations to explore and characters to interact with - some lovable, some you just love to hate. There's also a reworked Perk system and a very handy new feature in the form of a drivable car, which makes transportation around the landscape more convenient and gives you plenty of extra carrying capacity to boot. A stellar RPG experience from beginning to end and, again, one of the finest games in the CRPG genre.